Have you seen the appearance of a new Ferrari supercar that using a monstrous V12 engine named 'Ferrari F12tdf.' 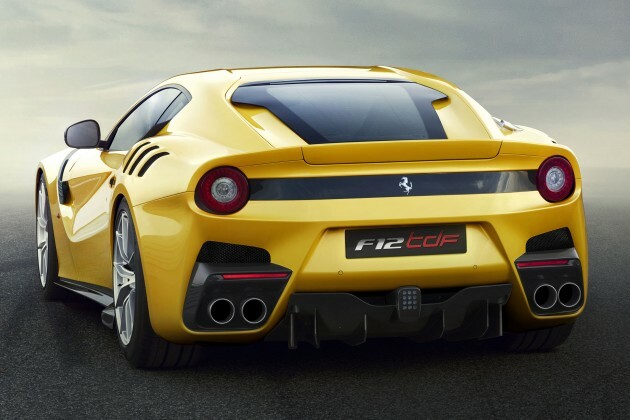 The supercar is a newcomer which is cooler than the standard version of the F12. Ferrari F12tdf a supercar that has a great power with the support of a V12 engine with a capacity of 6.3 liter. The machine is able to produce power up to 770 hp, those number was up about 40 hp of the standard version. Meanwhile, its torque up to 705 Nm. As reported by the Paultan, October 15, 2015, this increase actually have different impacts than the standard version, ie. the F12 Berlinetta. Which is making it more classy is the ability to accelerate from zero to 100 kph in just 2,9 seconds. While its highest speed recorded at the number of 340 kph. Cool! Besides, there is an increased stability of the car, when you reach high speeds, the car will be maintained in a stable and anti slip condition so that making the driver more calm and quiet. 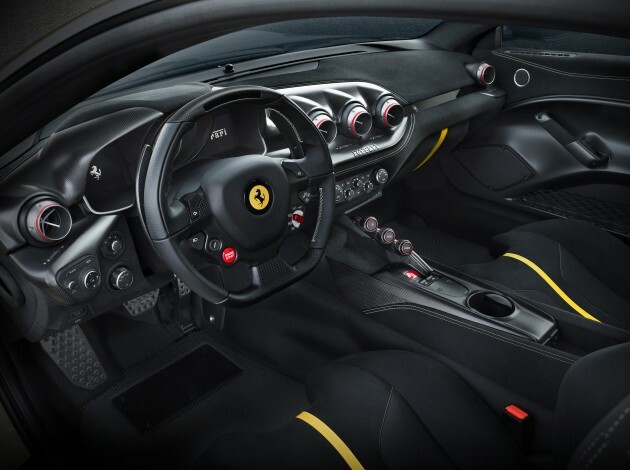 Not only that, high levels of agility and responsiveness can you get in this Ferrari F12tdf. Very interesting, is not it? But with a very promising performance like that, of course Ferrari also did not want to mess around. 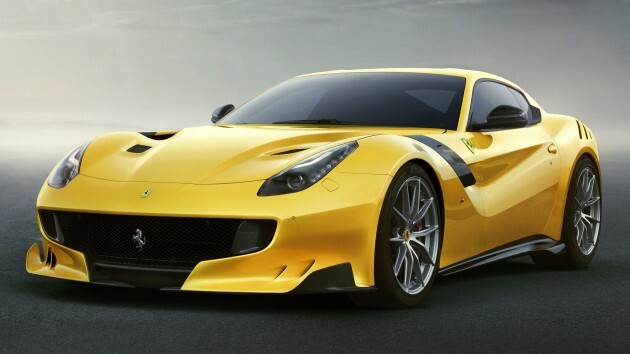 The renowned Italian supercar manufacturer does not want their cool car like a 'Ferrari F12tdf' is owned by just anyone..